February 10th in Social Media by Wordpress Jedi . In the past few months, we have covered ways you can integrate Google+, Twitter, Facebook, LinkedIn, Pinterest, Foursquare, and other social networks into your website. Quora is another social community that you should be active on to enhance your brand and drive traffic to your website. What sets Quora apart from other social networks is the fact that it is a social Q/A platform. It may not have as many users as Facebook or Twitter. But Quora has a lot of potential. Connect your blog to Quora: adding Quora Q/A answers to your website can make your content more engaging. Quora lets you connect your blog to your account to start sharing your Quora content on it. 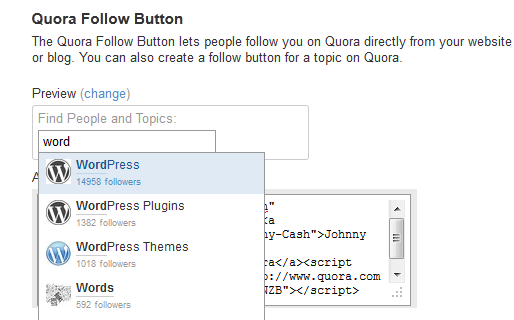 Use WordPress Quora Badge: adds a Quora profile badge to your blog’s sidebar. Shows profile picture, followers, mentions, and activities. 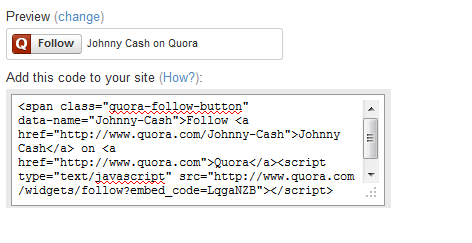 Add Quora Follow Button to WordPress: Quora has a neat tool that generates the appropriate code snippet for any Quora user. Just click on the change button and use the username you intend to promote on your website. Promote topics on your website: you can use the above button generator to promote topics (not users) on your website. Quora automatically shows you which topics you can promote as soon as you start entering letters. 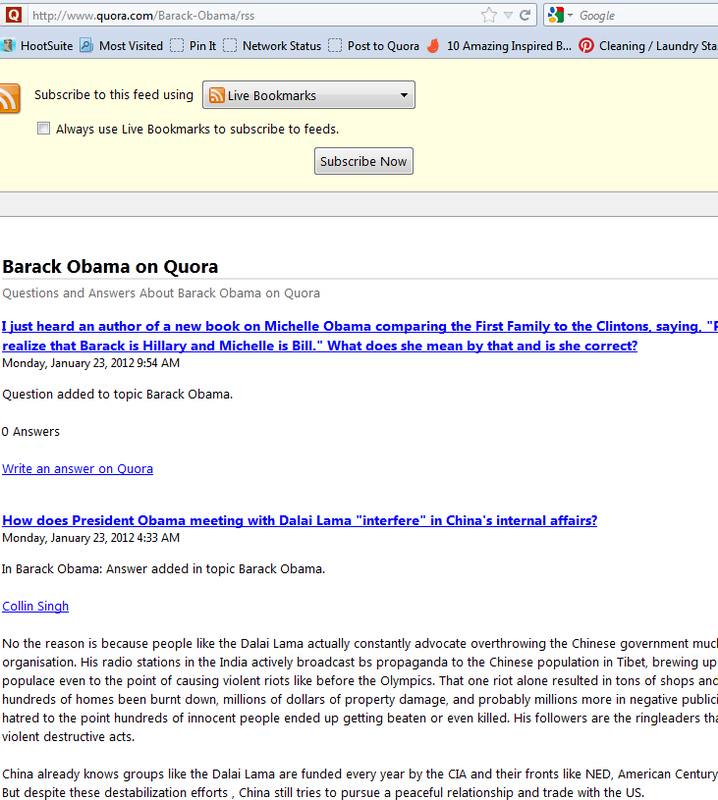 Add your Quora RSS feed to your sidebar: this is pretty simple. Just add “/rss” to the end of your profile URL, grab the whole link, and add it to a RSS widget on your site. 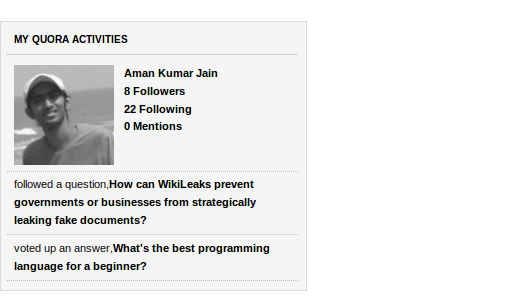 Quora can be a decent traffic driver for your website if you play your cards right. Integrating it with WordPress gives you the chance to get more out of your Quora efforts.